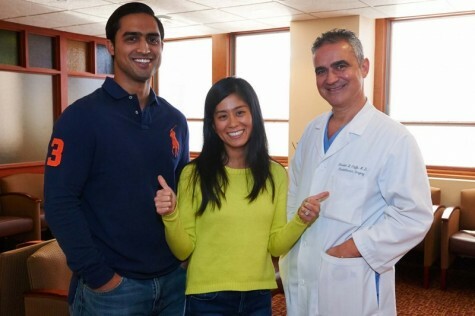 “My interest in developing bloodless heart surgery techniques bloomed early in my professional career. I have always been interested in offering my patients the best, low-impact, minimally invasive heart surgery available for their heart disease. How Is Bloodless Heart Surgery Accomplished? We investigate any evidence of spontaneous bleeding or anemia. The most common causes of chronic anemia are related to bleeding from ulcers in the stomach or intestine, bleeding from diverticulosis, heavy menstruations, primary anemias. A hematology or gastroenterology evaluation can be requested as necessary. All medications that can cause bleeding are discontinued (i.e. :aspirin, coumadin, plavix, fish oil, certain herbal remedies and vitamin E), if medically safe. Many popular supplements that are good for the heart have an underlying blood thinning effect and sometimes patients are not aware of it. Most supplements can be resumed after surgery when cleared by the treating surgeon. Medications such as Erythropoietin or Darbepoietin, Iron, and Folic Acid are given to stimulate the patient’s own production of more red blood cells, if indicated. Ideally each patient considered for elective surgery should be treated to ensure a healthy hemoglobin level. Keep in mind that Epogen needs at least 7 to 10 days to work its effect and stimulate red blood cell production. If a patient is anemic, it might take at least a few weeks and several shots of Epogen to get an optimal hemoglobin level before elective surgery. We discuss in detail which blood fractions, if any, are acceptable to the individual patients. A surgical strategy is planned to minimize the risk of bleeding while accomplishing a complete, thorough treatment of the heart condition. Beware of incomplete surgical treatments suggested by surgeons and cardiologists that are not familiar or comfortable with bloodless techniques. Let me give you a specific example: if you are diagnosed with a serious heart valve problem and coronary disease DO NOT settle for a planned coronary intervention that does not address the valve problem. A refusal of blood transfusions does not preclude a complete and thorough surgical therapy in Jehovah’s Witnesses. Use of minimally invasive bloodless cardiac surgery techniques whenever possible to avoid breast bone cutting and its increased chance of postoperative bleeding. The picture below shows you a surgical scar in a young Jehovah’s Witness from Florida who recently underwent a minimally invasive aortic valve replacement. The incision is placed between two ribs and heals very well. He recovered rapidly and was able to leave the hospital two days after surgery with an excellent hemoglobin level (13 grams!). Extra Corporeal Circulation (the heart-lung machine) with or without blood storage. The entire blood volume can be kept in circulation at all times, in compliance with the principles and beliefs of the Jehovah’s witness community. Beating Heart Surgery technique for coronary artery bypass. It avoids using the heart-lung machine and helps us maintain a better ability to coagulate and stop bleeding after surgery. Blood Salvage. A “cell saver” machine like the one in the picture below collects, filters and returns the patient’s blood to his/her own circulation. A closed circulation loop with no storage can be maintained at all times. Careful cell saver recycling and rinsing of any blood absorbed in surgical pads and gauze during surgery. Many surgeons unfortunately do not pay much attention to what happens to those blood soaked surgical pads. A surgical gauze pad can absorb up 300 ml of blood which could be lost with the rest of the disposables if an effort to recover it is not routinely made. A considerable amount of blood can be returned to our patients by following the simple routine outlined in the pictures below. This way we can reach the end of the operation with virtually no blood loss. 4) The blood and saline solution are suctioned into the cell saver where the red blood cells are washed, spun and returned to the patient in real time. Intra-operative electro-cautery or argon beam blood vessel coagulation is used to minimize blood loss with meticulous attention to detail. Induced Hypothermia decreases the oxygen demands in anemic patients by slowing their metabolism. This will help stabilize anemic patients that need more time to reestablish a good hemoglobin level. Self-transfusing drainage systems allow us to immediately recover any postoperative bloody drainage in the immediate postoperative period. Tiny, pediatric test tubes are used to sample a smaller volume of blood and only for absolutely necessary tests. The picture below shows you the striking difference in size between pediatric and adult test tubes. Many hospitals are still obtaining daily “routine tests” that are not really necessary. This old-fashioned practice can actually cause anemia by drawing up to 20 to 25 cc’s of blood every day. If this is done during a long hospital day, it adds up to a significant blood loss. These mindless routines need to be promptly addressed and corrected as necessary. The attention to such details greatly improves our results in blood sparing strategies. Knowing more about heart surgery alternatives will enable you to make informed treatment decisions about your care and will encourage you to discuss all available care options with your doctor. Searching for all the right information will help you get the best results in heart surgery. 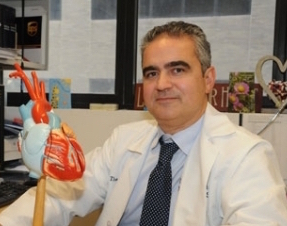 Jehovah’s Witness traveled the globe to receive bloodless heart surgery from Dr. Ciuffo. In the 90′s many patients were not choosing bloodless heart surgery because of their personal religious convictions. They were much more concerned with the potential risk of HIV/AIDS, hepatitis, and other possibly still unknown blood-borne viruses and pathogens. The screening methods employed routinely by all blood banks have greatly reduced this risk to negligible levels but it is still remains a concern for many patients who are much more comfortable with the option of a surgical treatment that does not require a blood transfusion. A down fall of blood transfusions is that they can weaken the immune system and cause it to be less reactive. A weak immune system will not be able to fight infections or cancer cells nearly as well as a strong immune system. Another major concern is the fact that a blood transfusion has profound effects on our body and its modulation of our immune system, sometimes manifesting as severe allergic reactions. Whether you receive your own blood or blood from an unrelated donor, the risk of an allergic reaction remains the same because an allergic reaction can occur if a patient is sensitive to the additives and preservatives used when storing the blood. Inflammatory responses are also seen in patients after a transfusion with accumulation of inflammatory fluids in various organs (lungs, kidneys, muscles) and soft tissues that effectively slow down the recovery period after open heart surgery. If you or a loved one is interested in further information about minimally invasive, bloodless heart surgery that will align with your religious beliefs and health concerns, please get in touch with Dr. Ciuffo of York, PA today. Call our office at (717) 851-6454 or contact us online. Dr. Ciuffo looks forward to helping you move toward living a better, healthier life.